The Newman Center’s vision is to build a transformative campus ministry faith community that shapes current and future leaders for the Church and society by introducing, deepening, and living the faith. With a professional staff of 15, the Newman Center reaches over 3,000 students a year, has over 1,100 registered households, and has over 50 active ministries. The Newman Center was placed in the charge of the Paulist Fathers on September 8, 1956. The original location was a house on Luka Street, on the east side of campus. The present center, located across from the northeastern corner of the OSU campus, was dedicated in October 1971. In October 2002, the Newman Center was rededicated after renovations that included a daily chapel, office space, meeting rooms and dedicated student space. The artist for the stained glass found throughout the worship spaces of the Newman Center was former Paulist student Nick Markell. The Paulist Fathers celebrated 50 years of ministry at the Newman Center in 2006. 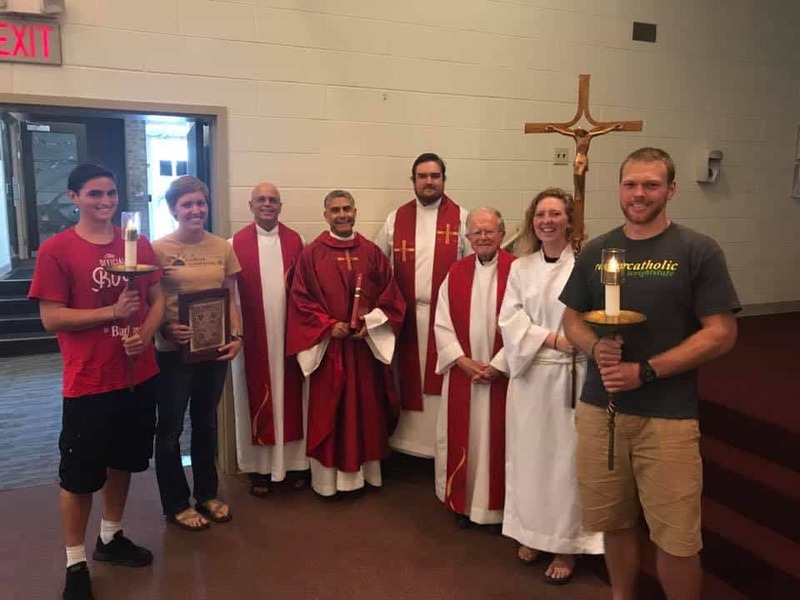 In 2012, the Newman Center was honored with an Exemplary Award in Campus Ministry for Developing Leaders for the Future by the Catholic Campus Ministry Association/United States Conference of Catholic Bishops. The Newman Center is also one of the original ESTEEM Leadership program sites, a prestigious national student leadership faith formation program that is sponsored by the National Leadership Roundtable on Church Management. The Paulist mission of evangelization, reconciliation, and dialogue are truly thriving at the Newman Center. The Newman Center’s strategic plan is to grow and develop opportunities and initiatives that help introduce the faith, deepen the faith, and help individuals and groups live the faith, so that we will more than double our impact with students and strengthen and enhance the liturgical experience for our entire Newman Center community. 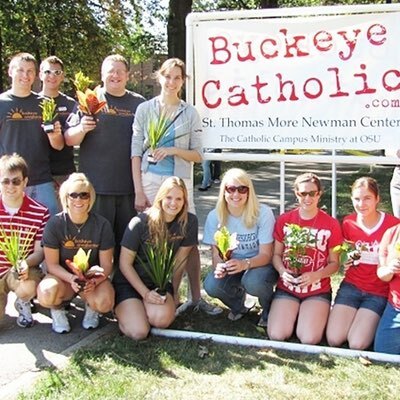 As we fulfill our mission and vision in encouraging a new generation of Catholics, the local OSU community finds in us a welcome place to ask questions, to pray, to serve, and grow in their longing for God.